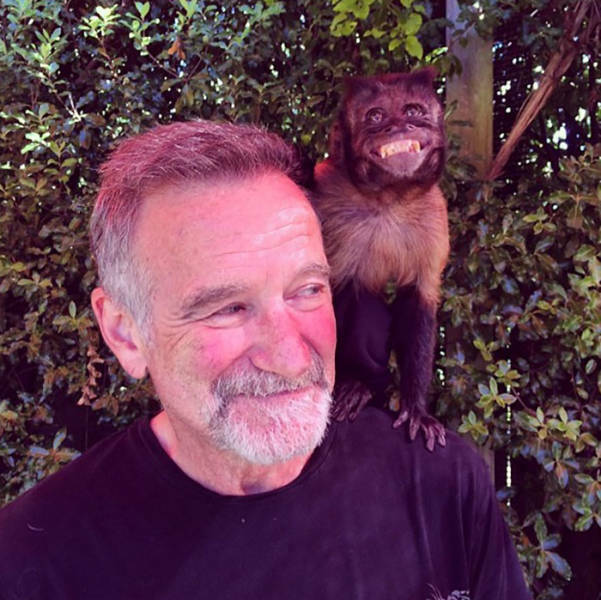 This photo of Robin Williams with his monkey, Crystal, was posted by to his Instagram on his birthday, 20 days before he died. Williams had been misdiagnosed as having Parkinson's Disease but actually suffered from a type of dementia that led to severe paranoia in the days before his death. He committed suicide by hanging at the age of 63. This is one of the last photos of the lead singer of Queen, taken in 1991. 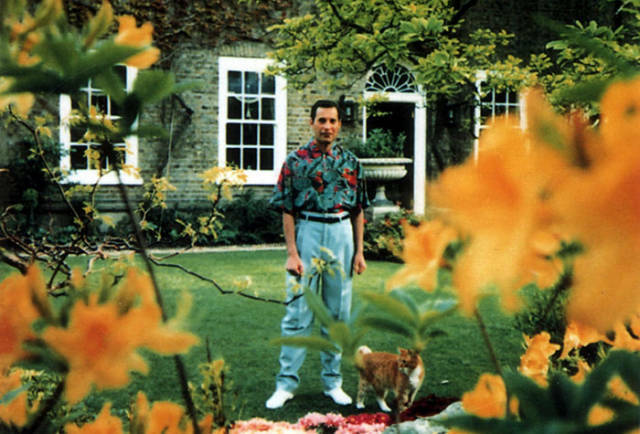 Until the very end, Freddie denied rumours about having AIDS, preferring to avoid the inevitable media circus and concentrate on his career as best he could. The day before his death he released the following statement : "Following the enormous conjecture in the press over the last two weeks, I wish to confirm that I have been tested HIV positive and have AIDS. I felt it correct to keep this information private to date to protect the privacy of those around me. However, the time has come now for my friends and fans around the world to know the truth and I hope that everyone will join with me, my doctors and all those worldwide in the fight against this terrible disease. My privacy has always been very special to me and I am famous for my lack of interviews. Please understand this policy will continue." Less than 24 hours later he died from bronchopneumonia, that was brought on by having AIDS. 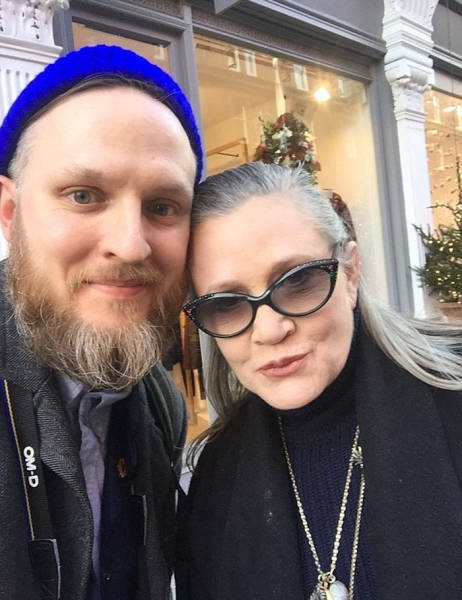 This photo of Carrie Fisher was taken by a fan in London the day before she boarded a flight to Los Angeles. On board the flight she suffered a heart attack and passed away in hospital four days later. 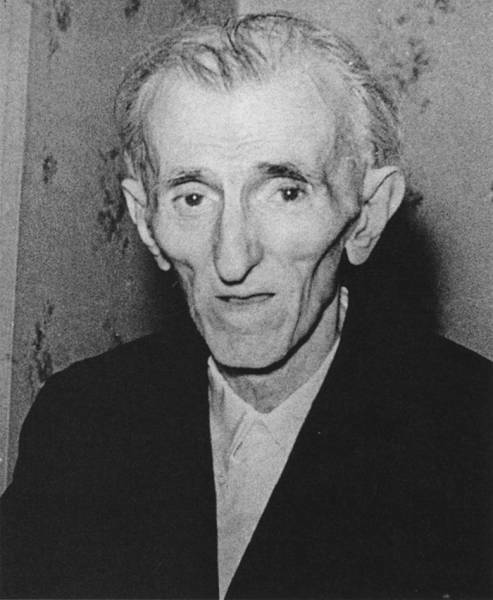 This is the last known photo of Nicola Tesla. On 7th January 1943, Tesla died alone in the New Yorker Hotel. The inventor, physicist, and futurist was best known for his contributions to the design of the modern alternating current (AC) electricity supply system. By the end of his brilliant and tortured life, he was penniless and had become a vegetarian living on only milk, bread, honey, and vegetable juices. Tesla spent days in a park surrounded by the creatures that mattered most to him—pigeons—and his sleepless nights working over mathematical equations and scientific problems in his head. 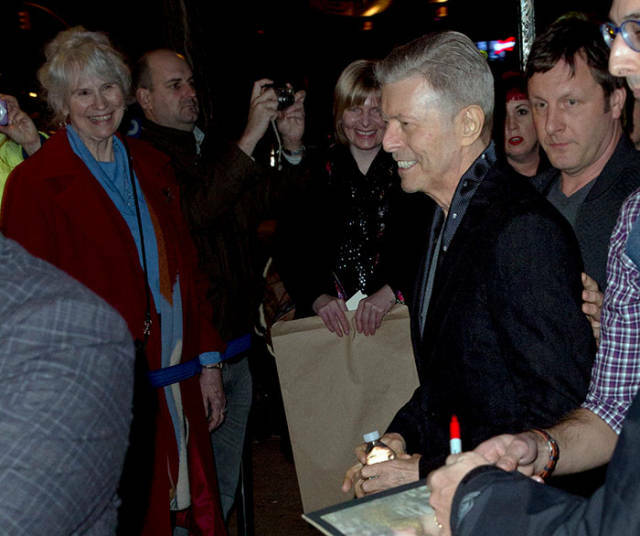 The December 7th 2015 premiere of his musical, 'Lazarus,' at the Theatre Workshop in New York would turn out to be David Bowie's final public appearance. Bowie had been battling liver cancer for over a year, and by this late stage was aware that it was terminal. His final album 'Blackstar' was full of references to death and he had appeared to have accepted and come to terms with his own mortality, with a humour and grace that many of us can only hope to emulate. 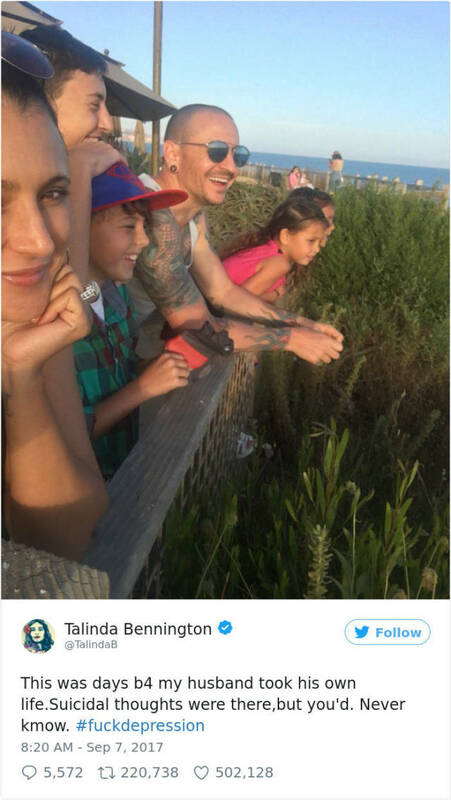 This photo of a smiling and seemingly happy Chester Bennington was taken just days prior to his passing. On July 20, 2017, Bennington was found dead at his home in California, having committed suicide by hanging. Bennington had always been open about his struggles with addiction and depression, but those close to him were shocked by his suicide. The day after Cornell's memorial, Bennington tweeted that he was "feeling very creative" and had written six new songs. Around the same time, he told a friend, Rene Mata, "We have to stick together, and we have so much to live for." Bennington was just 41 years old at the time of his death. 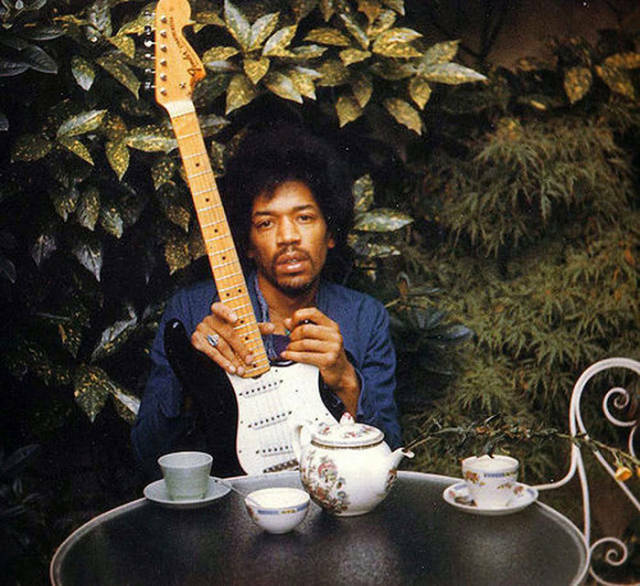 This photo of Jimi Hendrix with his favourite guitar 'Black Betty' was taken on September 17th, 1970, by his girlfriend Monika Danneman in the garden behind her apartment. Hendrix died the next day from a barbiturate-related asphyxia in London. 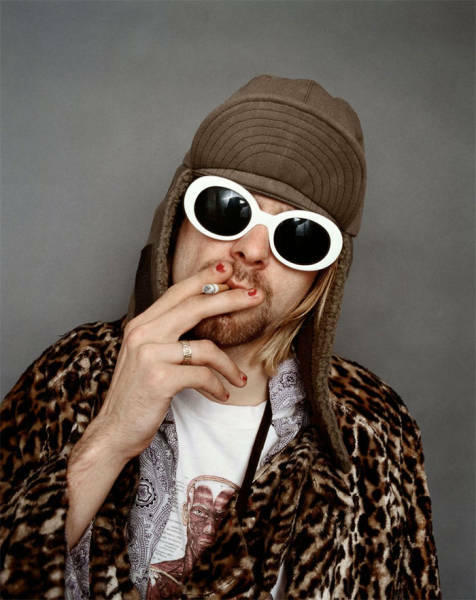 He is said to have choked on his own vomit after taking a mixture of drugs, including a large dose of sleeping pills. There is no indication to suggest that Hendrix's death was a suicide, despite media speculation that it was. 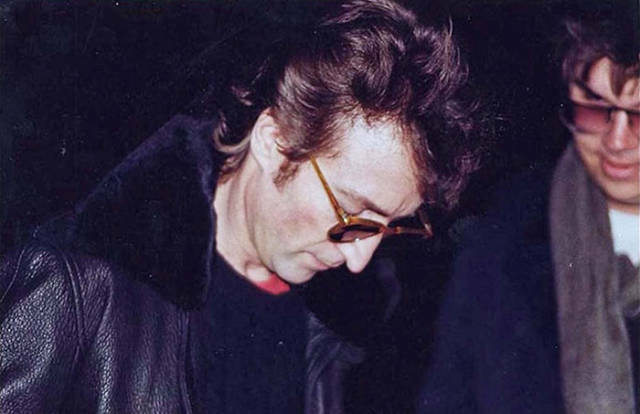 The man who shot John Lennon, Mark David Chapman, is captured getting an autograph from the Beatles star. After signing the album for him, Lennon asked, "Is this all you want?" Chapman smiled and nodded in agreement. Four hours later, as Lennon was returning to his residence from a recording studio, Chapman dropped onto one knee and fired five bullets into Lennon's back from close range. Lennon was pronounced dead on arrival at the hospital soon after. 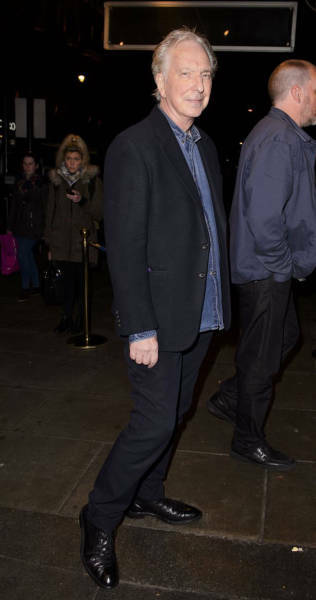 This is Alan Rickman looking well in his last ever photograph before losing his battle with cancer. Rickman had been diagnosed with terminal cancer of the pancreas in August 2015, something he kept in private until his death on 14th January 2016. This is one of the last photos taken of Steve Jobs before his death in October 5th, 2011 at his home in California. He died due to complications arising from a relapse of his previously treated pancreatic cancer. His family was at his side while he passed away, his final words were said to be, “oh wow, oh wow, oh wow.” Jobs is buried in an unmarked grave at Alta Mesa Memorial Park. 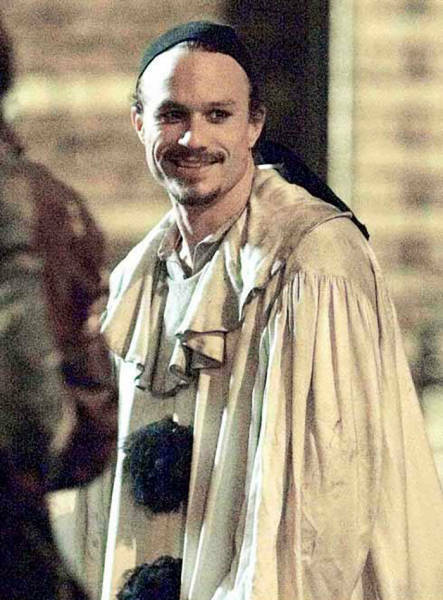 This photo of Heath Ledger is from his last film 'The Imaginarium of Doctor Parnassus.' It was to be his last role, just a few days later he was found dead in his New York apartment after suffering an accidental overdose from prescription medication on January 22nd, 2008. 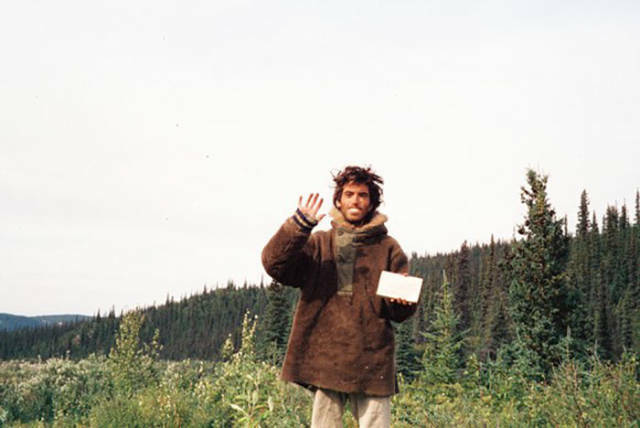 This photo of Christopher McCandless was found in his undeveloped camera, having ventured into the Alaskan wilderness in solitude. He died of starvation in August 1992, after he had set out along an old mining road known as the Stampede Trail with minimal supplies, hoping to live simply off the land. His story would later be told in the book and then movie, Into the Wild. 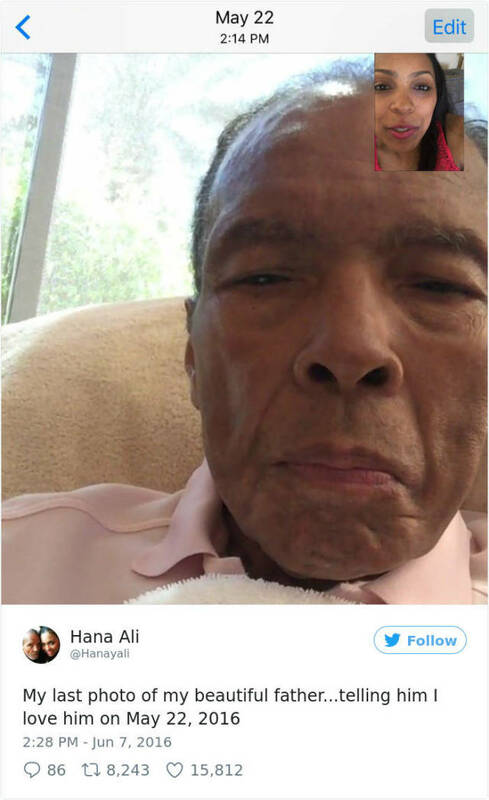 This photo of Muhammad Ali was taken on May 22nd, 2016, by his daughter Hana. Ali was hospitalized on June 2, 2016, with a respiratory illness. Though his condition was initially described as "fair", it worsened, and he died the following day at age 74 from septic shock. Ali had suffered the effects of Parkinson's disease since 1984, but remained active in civic and political causes throughout and up until his death. This photo of Anne Frank was taken in 1942, and is one of the last images of her alive. 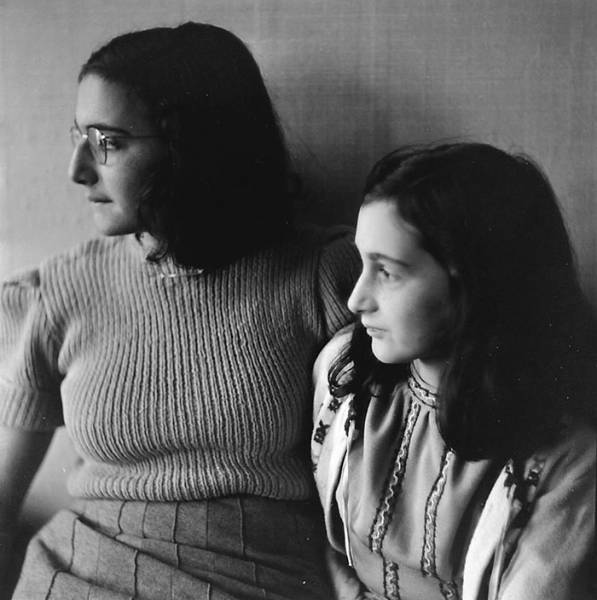 Frank died in March 1945 in the Bergen-Belsen concentration camp after her and her family were discovered and arrested on August 4th, 1944. She is pictured with her sister, Margot. 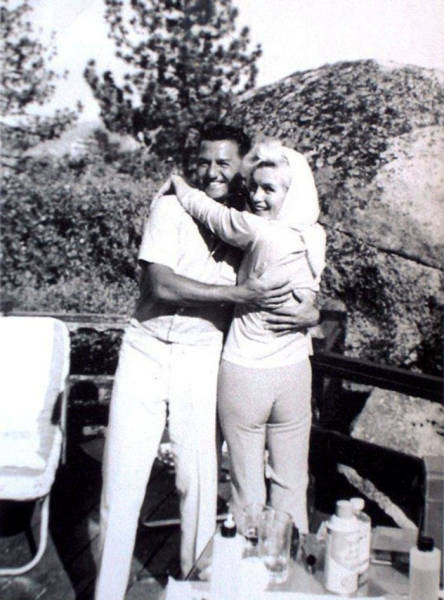 This photo shows Marilyn Monroe with jazz pianist Buddy Greco in August 1962, just days before her death. She was found dead in her Los Angeles home by her psychiatrist, having experienced various mental health problems including depression, anxiety, low self-esteem and chronic insomnia for many years. 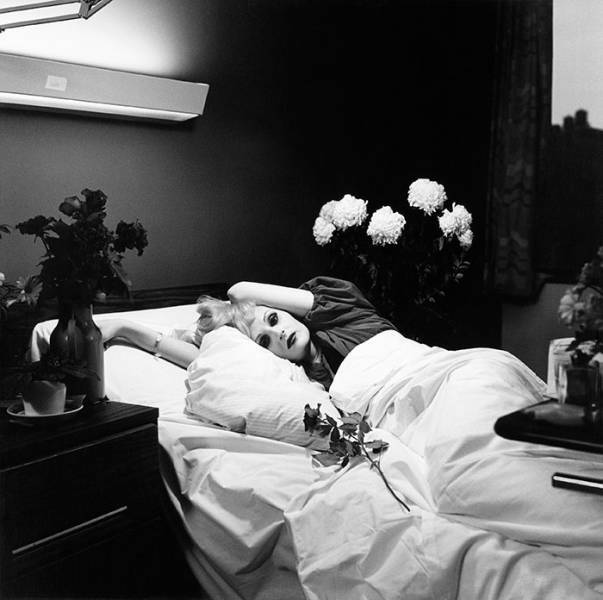 Her death was officially ruled a probable suicide due to the large amount of barbiturates she had ingested, previous overdosing and being prone to mood swings and suicidal ideation. 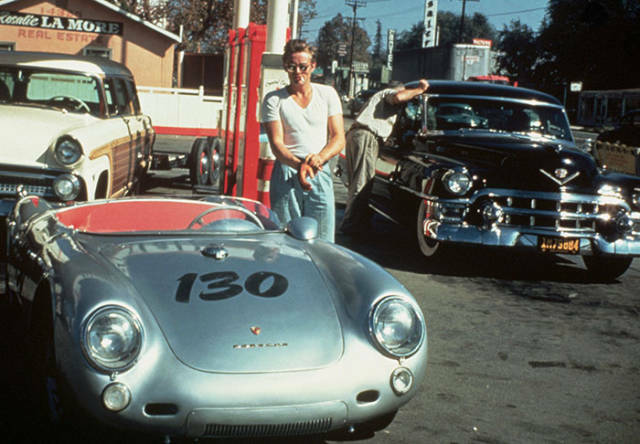 This photo of James Dean at a gas station was taken the day that he died. Dean was a keen driver and loved race cars. He died when he crashed the Porsche in this photo, swerving to avoid an oncoming car, on September 30, 1955. Curiously, when Dean introduced himself to British actor Alec Guinness during an encounter in Hollywood, he asked him to take a look at the car. Guinness thought the car appeared "sinister" and told Dean: "If you get in that car, you will be found dead in it by this time next week." This happened on September 23, 1955, seven days before Dean's death. This photo of Amy Winehouse was taken in London on July 12th, 2011. She died at her home on July 23rd 2011, with the coroner's inquest reaching a verdict of accidental alcohol poisoning. Winehouse's blood alcohol content was more than five times the legal drink-drive limit, with the unintended consequences of such potentially fatal levels being her sudden death. Her brother, Alex Winehouse, revealed her battles with eating disorders. "She suffered from bulimia very badly. That's not, like, a revelation – you knew just by looking at her… She would have died eventually, the way she was going, but what really killed her was the bulimia… I think that it left her weaker and more susceptible. Had she not had an eating disorder, she would have been physically stronger." The photo on the left shows the Rev. 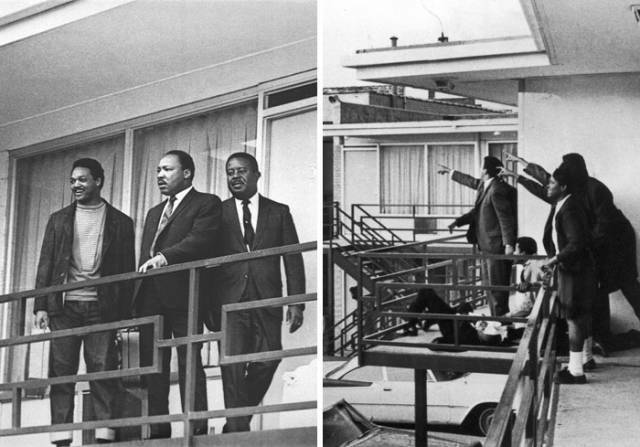 Martin Luther King Jr. standing with other civil rights leaders on the balcony of the Lorraine Motel in Memphis, Tennessee, on April 3rd, 1968. 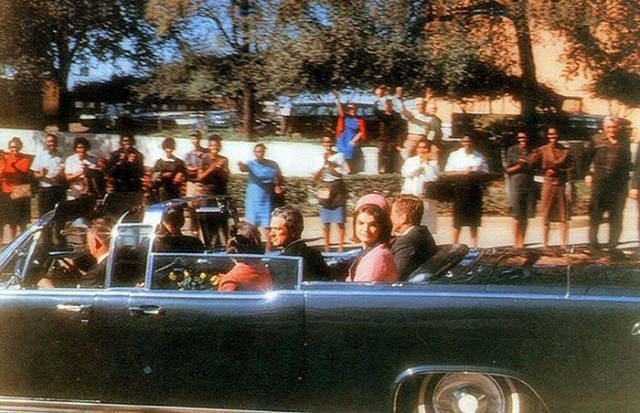 A day later he was assassinated in approximately the same place by James Earl Ray, although there are many conspiracy theories surrounding the assassination. The photo on the right was taken directly after the shooting. King was rushed to St. Joseph's Hospital, where doctors opened his chest and performed cardiopulmonary resuscitation. He never regained consciousness and was pronounced dead at 7:05 p.m on April 4th, 1968. This photo of Micheal Jackson was taken during rehearsals for upcoming sold out shows, two days before his death. Jackson went into cardiac arrest after a case of acute propofol and benzodiazepine intoxication at his home in Los Angeles on June 25, 2009. He was pronounced dead in a nearby hospital after multiple failed attempts to resuscitate him. His personal physician was convicted of involuntary manslaughter in 2011 and served a two-year prison sentence, having previously administered a cocktail of anti-anxiety drugs to Jackson that led to his death. 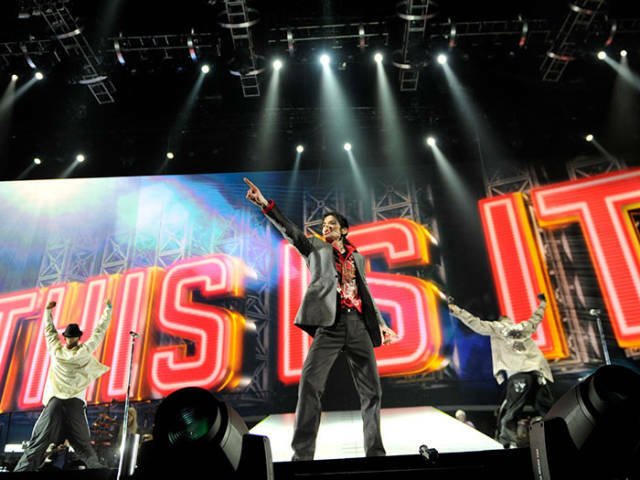 Jackson had intended to perform a series of comeback concerts to over one million people at London's O2 Arena from July 2009 to March 2010. 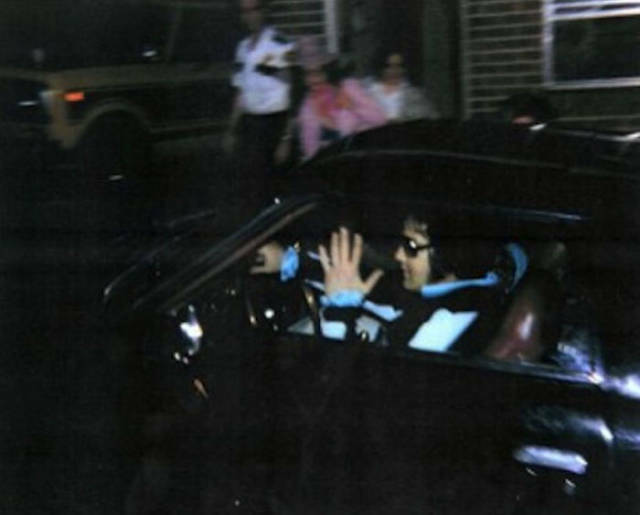 This photo of John F. Kennedy was taken just before his assassination in Dallas on November 22, 1963. Lee Harvey Oswald was charged with Kennedy's assassination, which he denied. Oswald was himself killed soon after. The case has led to myriad conspiracy theories that continue to circulate to this day. 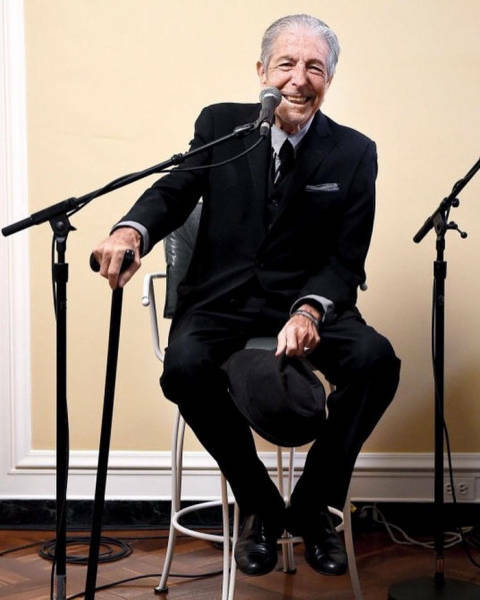 This photo of Leonard Cohen was taken on Oct 13th, 2016 at the launch of his final album 'You Want It Darker' in L.A. He died peacefully during his sleep on November 7th, with cancer said to be a contributing cause. 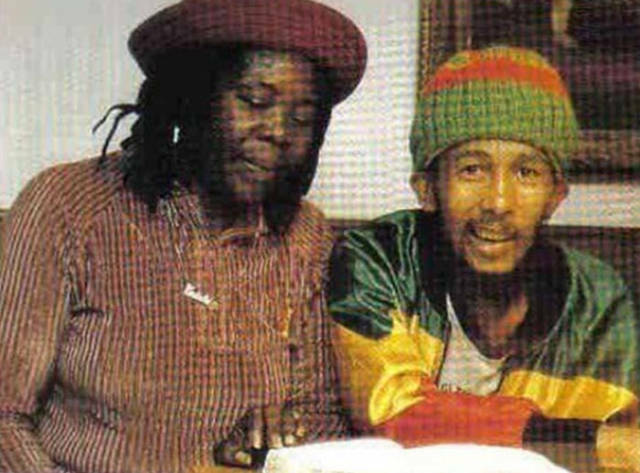 This photo of Bob Marley was taken in Munich, Germany, a few months before he died of cancer May 11th, 1981. At this point his weight was just 35 kilograms. Marley had a dark pigment melanoma, a rare form of skin cancer, under his toe that spread throughout his body and lead to his eventual passing. This is a photo of Paul Walker, taken while he was leaving a charity event. Moments later the red Porsche, driven by Roger Rodas, would crash into a concrete lamp post and caught fire, killing both men. The investigation into the crash concluded that the car's speed – between 80 mph (130 km/h) and 93 mph (150 km/h) – and age of the tyres were the primary reasons behind it. 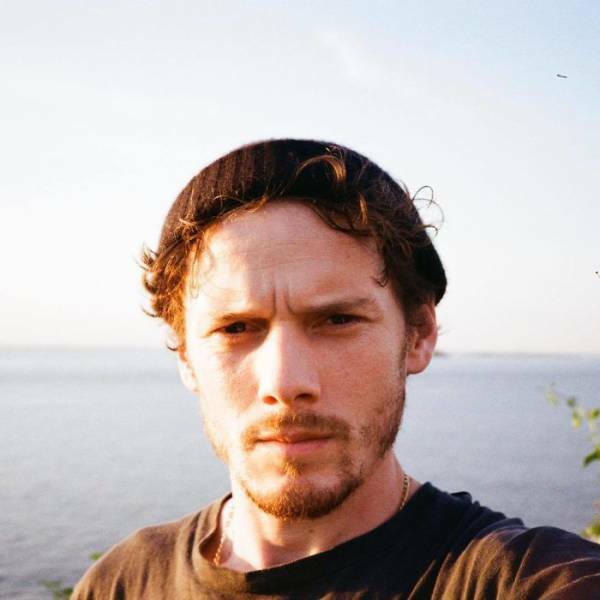 This photo of Anton Yelchin was his last self portrait posted on his Instagram. Three days later on June 19th, 2016, the 27-year-old actor died in a freak car accident outside his home. Yelchin's Jeep rolled backwards down his driveway, trapping him against a brick mailbox pillar and security fence. The Jeep crushed his lungs, and he is believed to have died within a minute of impact. 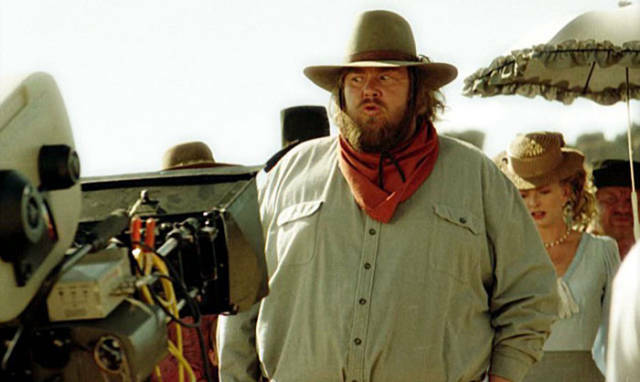 This photo of John Candy was taken on the set of the film 'Wagons East.' On March 4th, 1994 while the film was still in production, Candy suffered a heart attack in his hotel room in Durango City, Mexico. He had struggled for some years with weight-related health issues. 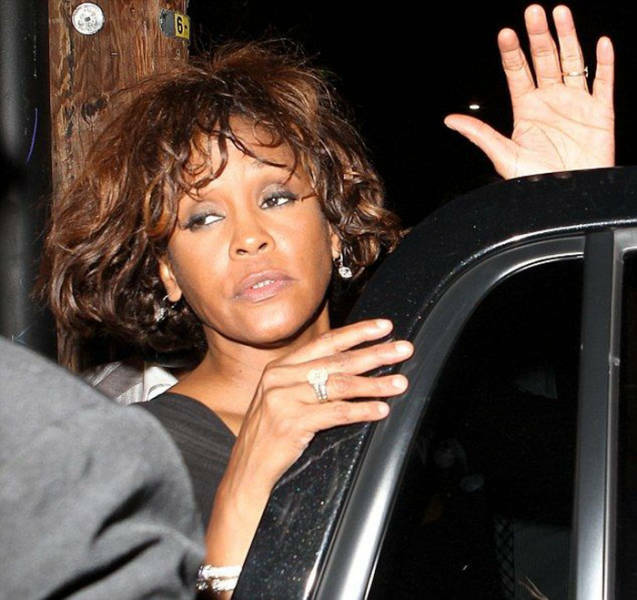 This photo shows Whitney Houston seen leaving Tru Hollywood club two days before her death. On February 11th, 2012 Houston was found unconscious in Suite 434 at the Beverly Hilton Hotel, submerged in the bathtub. Toxicology results revealed the presence of prescription and non-prescription drugs in her system, and the manner of her death was listed as accidental drowning. She passed away aged 48. 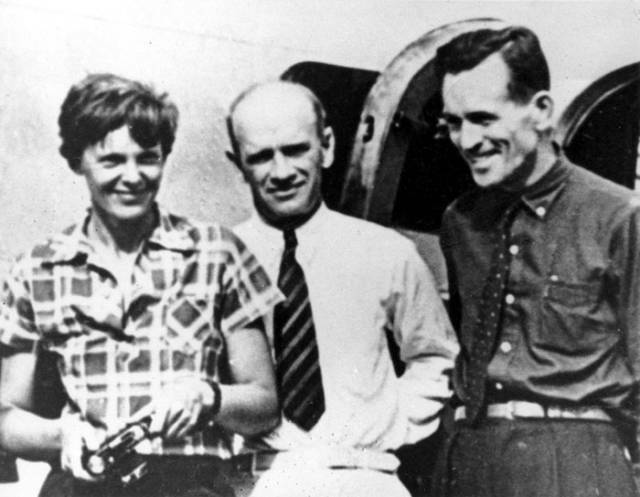 This photo of Amelia Earhart and her navigator, Fred Noonan, was taken shortly before departure on an attempt to make a circumnavigational flight of the globe. On July 2nd, 1937, the plane disappeared somewhere over the Pacific Ocean in unresolved circumstances. 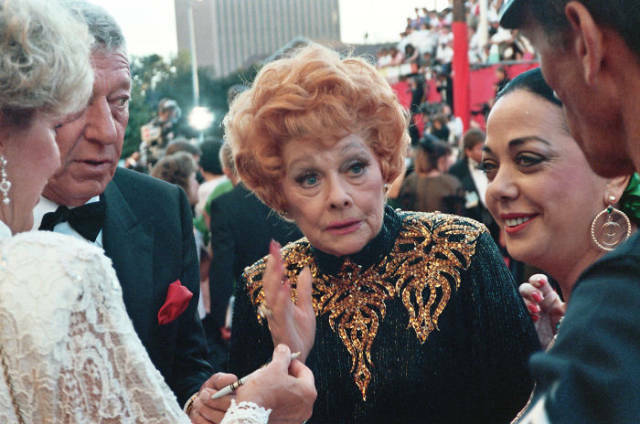 The mystery surrounding her disappearance, along with her celebrity status at the time, has led to a great many claims and conspiracy theories around her doomed final flight. 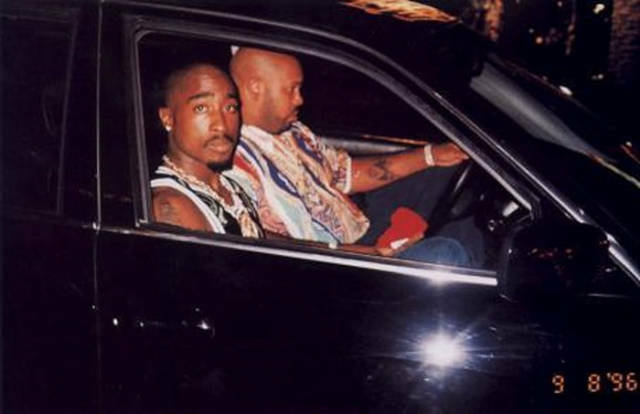 This photo of Tupac Shakur was taken moments before he was shot several times in a drive-by shooting. The shooting occurred in Las Vegas, Nevada, on September 7, 1996. Shakur died from his wounds six days later while in hospital. While allegations involving Shakur's rival at the time The Notorious B.I.G surfaced soon after the shooting, these were never proven and the case investigating the shooting of Tupac Shakur remains unsolved. 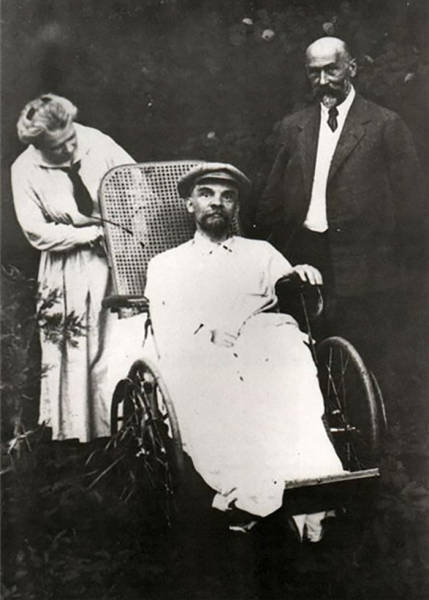 This is the last known photo of Vladimir Lenin, taken in May, 1923. He had suffered three strokes by this time and was completely mute. He passed away on January 21st, 1924 aged 53. The official cause of death was recorded as an 'incurable disease of the blood vessels,' and while there have been speculations that he had died of complications from syphilis, these rumours are unsubstantiated. 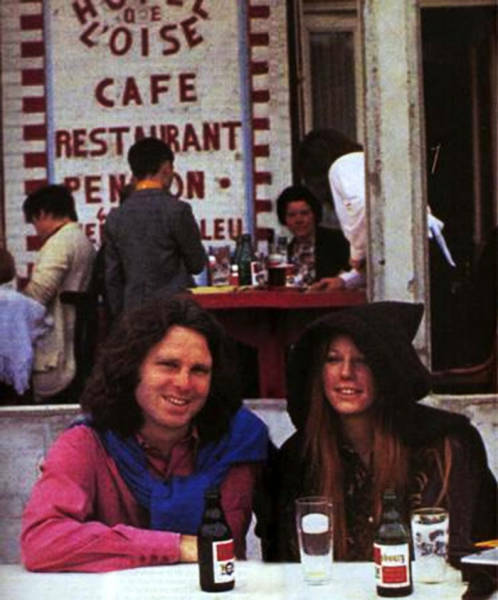 This photo of Jim Morrison was taken on June 28th, 1971, together with his girlfriend Pamela Courson. Morrison died of a heart failure in Paris on July 3rd in the bathtub of his apartment, allegedly of a heroin overdose although there is some uncertainty surrounding the exact cause. Morrison is buried in Père Lachaise Cemetery in Paris, which has become one of the city's most visited tourist attractions. 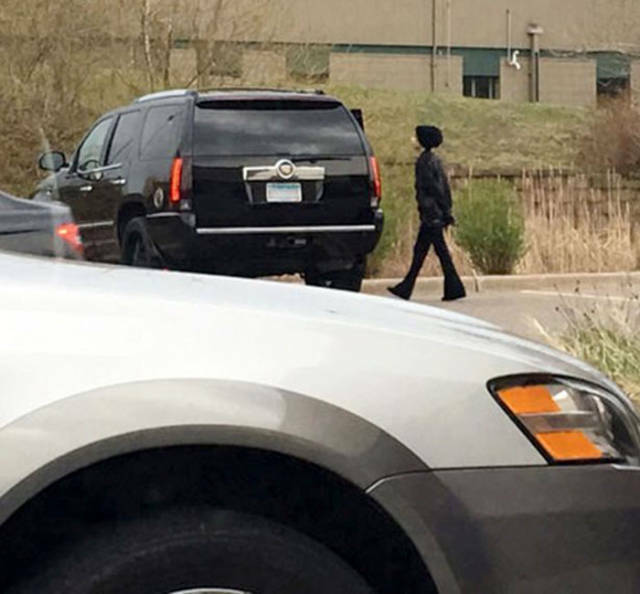 This is the last known photograph of Prince, taken outside a Walgreens pharmacy near his home in Minnesota. He spent his final hours at home alone, and was discovered unconscious in an elevator more than 13 hours after he was last seen alive. Prince died from the accidental overdose of the opioid pain medication Fentanyl, there were no signs of suicide or foul play. This photo of Elvis Presley was taken at Graceland in the early hours of August 16th, 1977 having just visited the dentist. Later that day Presley had a heart attack and died in his bathroom, having had complications due to a drug habit and a weak heart resulting from this. He had suffered from a range of health issues brought on by his notoriously hedonistic lifestyle including drugs and an indulgent diet.